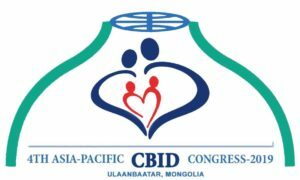 The 4th Asia-Pacific Community-Based Inclusive Development (CBID) Congress 2019 will be held on 2nd-3rd July 2019 in Shangri-La hotel, Ulaanbaatar, Mongolia. The Congress will be the regional platform to exchange lessons learned and good practices on the economic empowerment of persons with disabilities in order to break the cycle of poverty towards sustainable social development and economic growth through CBID. It is also meant to strengthen collaboration among representatives from governments, leaders with disabilities, Disabled Peoples’ Organizations (DPOs), Civil Society Organizations (CSOs), International NonGovernment Organizations (INGOs), youth groups and service providers from Asia-Pacific countries. This entry was posted in Conferences_Workshops, Events & Appointments and tagged AIFO, CBID, CBM, CBR, congress, mongolia, Teegsh Niigem, workshop by Project. Bookmark the permalink.